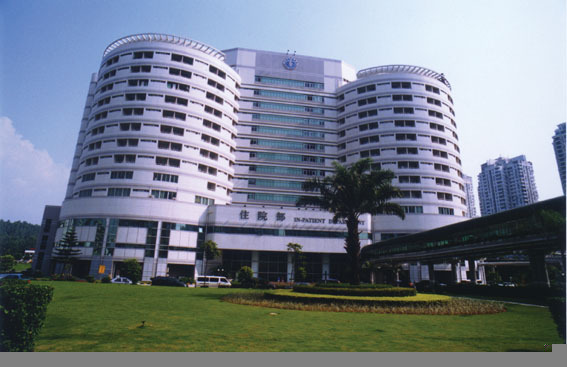 Peking University Shenzhen Hospital, opened in 1999, is a modern general hospital based in Shenzhen with an investment of RMB 4.5 billion. Under the cooperation of Shenzhen municipal government and Peking University, the hospital was absorbed into the management system of Peking University Hospital in the year 2001. 953 hospital beds are available now. In 2009, there were 22 190 000 out patients and 38 000 discharged patients. Within the lapse of 11 years, with the introduction of talent of more than 1 200, the hospital has more than 500 stuffs that are PhD or have a master’s degree, among which there are 471 chief physicians and associate chief physicians. 52 clinical medical departments are set, including one state-level key discipline, one provincial key laboratory, and five municipal key specialist laboratories. Besides, the first post-doctoral research station in municipal health system is settled there with the composition of three PKU doctoral stations and 14 PKU master’s stations. PKU Shenzhen Hospital is the first that has proposed the innovative management mode of “One Body, Two Wings” in the nation. “One Body” means that medical treatment, teaching, and researching make up the body of the hospital; while “Two Wings,” literally, to assistant the body, refers to both the Health Industry that dependent on the hospital’s overall strength attracts healthy and sub-healthy people in order to serve more people and in higher quality, and the comprehensive logistic service that lowers the cost of the hospital. At present, the overall discipline levels of Department of Urology, Department of Gynecology and Obstetrics, Department of Laboratory, and ICU of PKU Shenzhen Hospital rank high in Shenzhen. Single technologies such as interventional cardiology, hematopoietic stem cell transplantation, assisted reproductive gastrointestinal cancer, oral implants, and cochlear implants are also of a high level. Subject scales of Department of Nephrology, Department of Gastroenterology, and branches of endocrinology, neurology, dermatology, physical examination, and special diagnostic are leading in the city as well. All in all, the hospital has been No. 1 in Shenzhen medical quality assessment for five years.